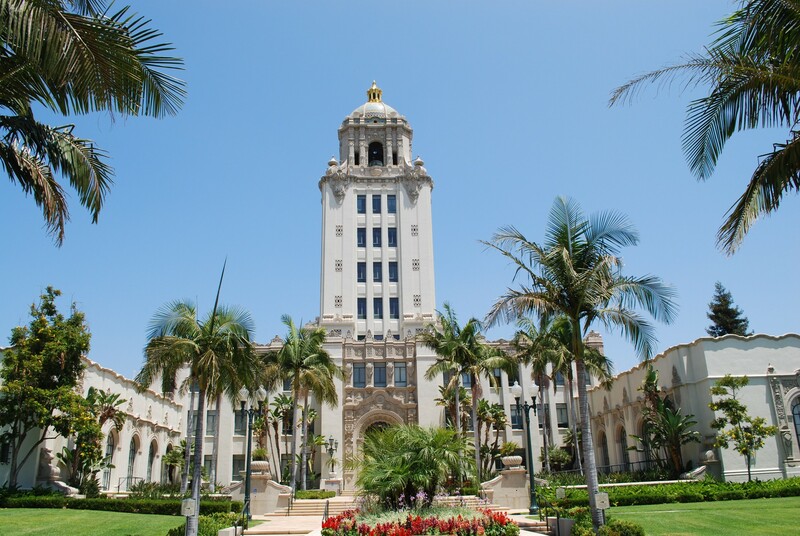 The City of Beverly Hills is known across the globe for Luxury, Celebrity Lifestyles, World-Class Hotels, Rodeo Drive Shopping District, and the famed zip code of 90210. The abundance of water in the early days of Beverly Hills gave it wealth and fame long before the movie industry. The area was named Beverly Hills in 1906 by Burt Hollon Green and his wife after “Beverly Farms”, Massachusetts. The construction of the Famed Beverly Hills Hotel in 1912 made the elegant lifestyle possible which eventually drew such glamorous stars as Douglas Fairbanks and Mary Pickford, Gloria Swanson, Will Rogers, Charlie Chaplin, John Barrymore, and Rudolph Valentino….to modern day celebrities like Ellen DeGeneres, Ryan Seacrest, Jennifer Lawrence, and Liam Hemsworth. After an annexation battle in 1923 (which the city of Los Angeles lost) the identity of the young city was cemented and the young metropolis touted itself as the “center of the next million”. Beverly Hills developed into and remains one of the most glamorous places in the world to live, eat, play and especially, shop. The Golden Triangle, with Rodeo Drive at its center, was built and marketed as the shopping destination of a lifetime. The mystique of Beverly Hills as a place of wealth and beauty continues today with the new addition of its own Theatre, The Wallis Annenberg Center for the Performing Arts. The city is known for its “Local Services” with quick response time from both the fire and police departments to its excellent schools. It is also known as “The City of Trees” and awarded recognition from The Arbor Foundation. The Luxury Real Estate market here in Beverly Hills offers an array of options from Full-Service Condos to luxurious estates, all within minutes to the heart of the city. Beverly Hills Post Office is an area located just North of Prime Beverly Hills and is in the jurisdiction and in the City of Los Angeles. Homes in this area range from small bungalows to massive estates on expansive lots with the city to ocean views and bordered by Mulholland Drive on the North side.